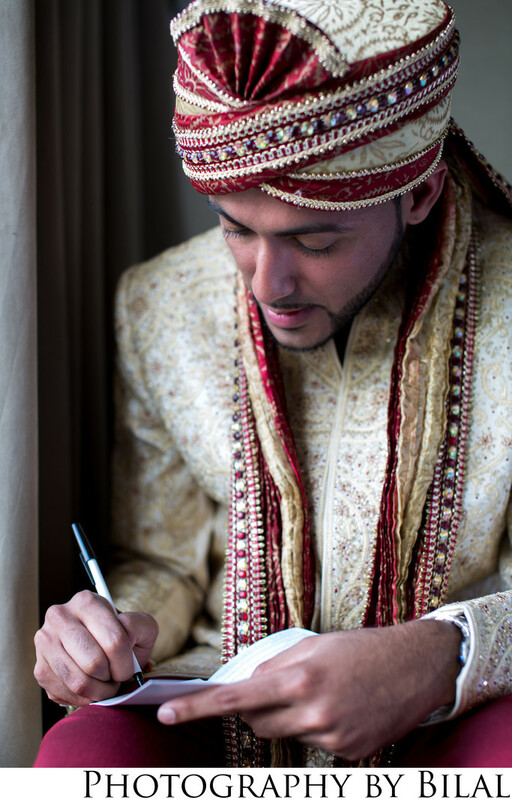 In this photo the groom was writing a note to his soon to be wife. These are the type of moments that I as a photographer love to capture. You can probably tell from the attire, this was an Indian wedding, also known as shaadi, in Central NJ.